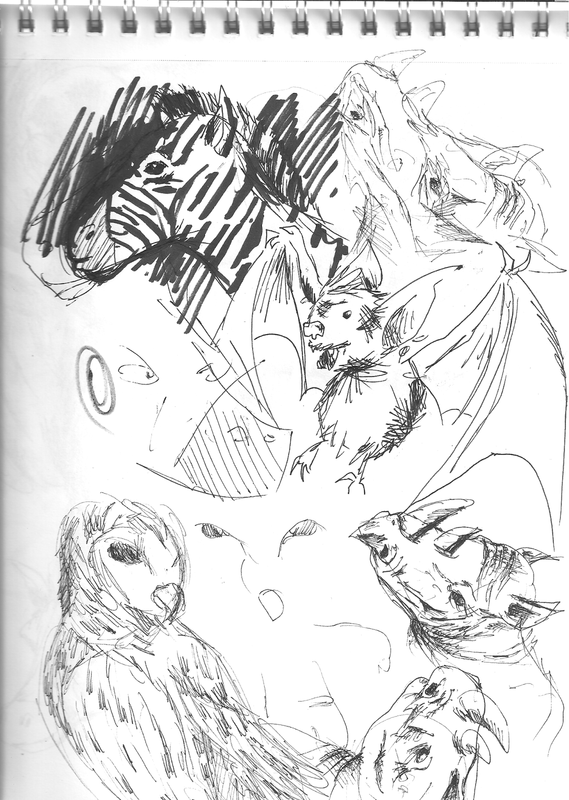 This is just a page from my sketchbook of different animals. Animals are always a challenge (in a good way) because you naturally assume that their skull structure will be similar to humans, which- as obvious as it sounds- is not true. The rhino was the hardest for me to grasp because it's head is so misshapen. The animals were all drawn with a Staedtler .01 and .03 cm tip pens. The zebra was drawn with a G2 gel pen and a Sharpie. Note: the cartoon drawing of the zebra. Cartoons are a great way to study the basic features of something.